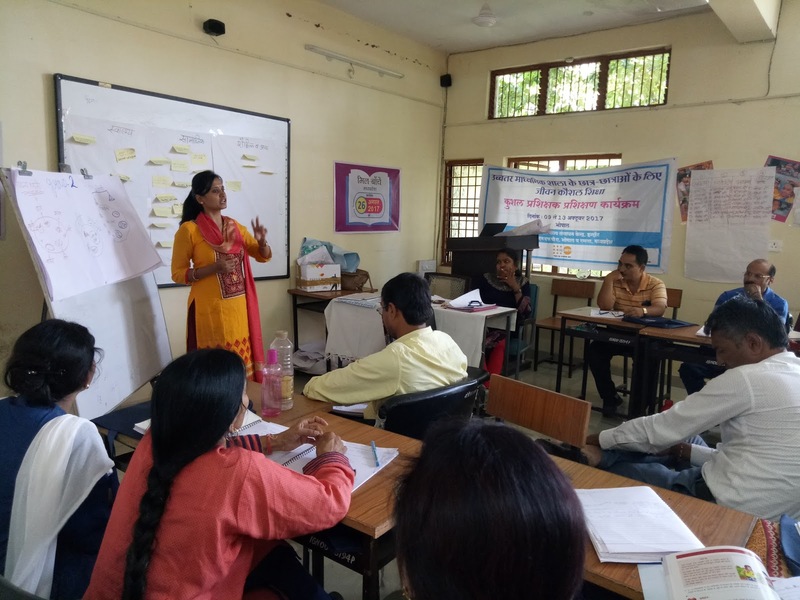 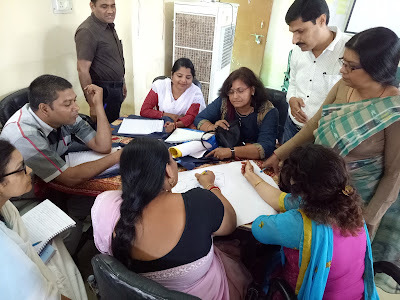 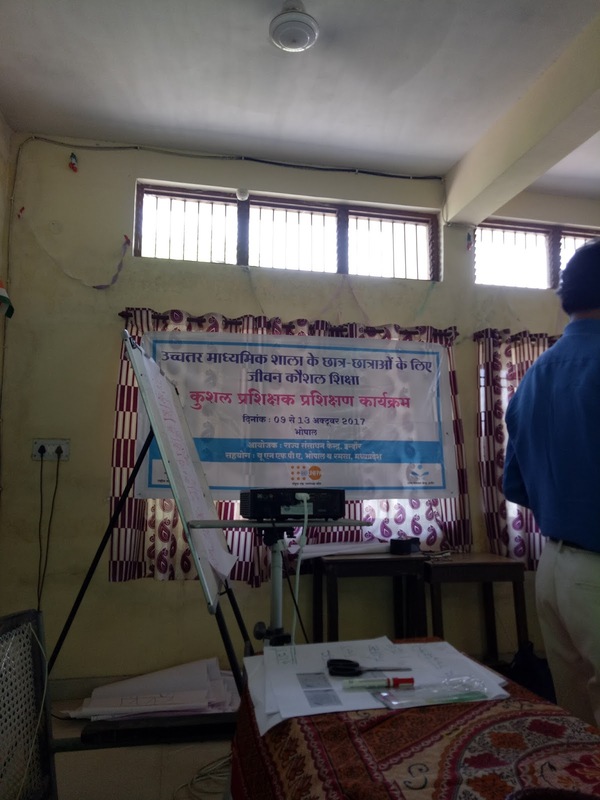 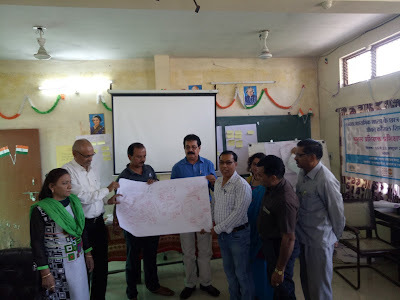 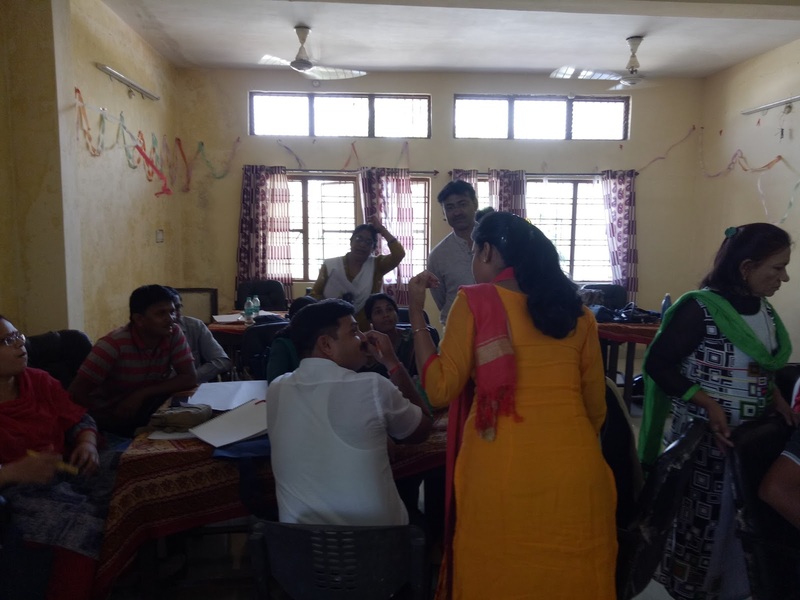 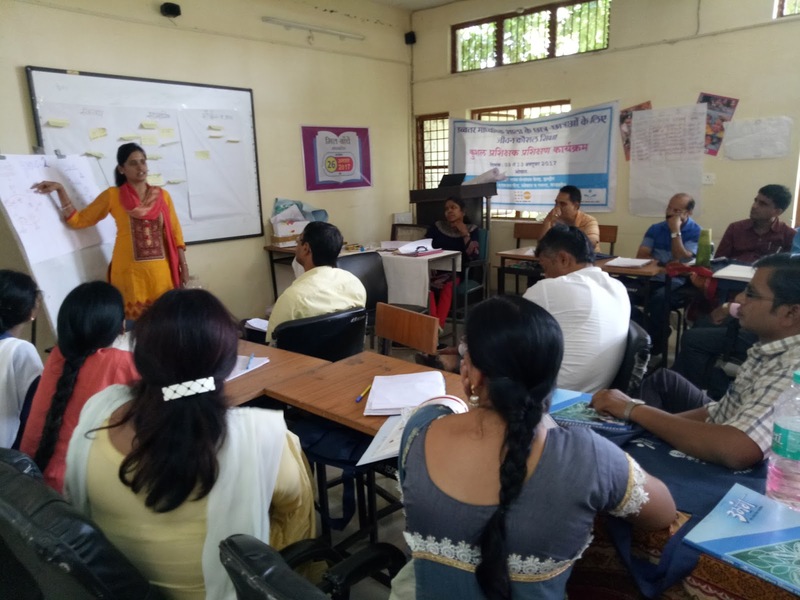 Healthizen's Blog: Training imparted for "Balanced diet" and "Anaemia"
Trainings are always an experience - a learning experience and an enriching experience! Recently I got an opportunity to impart training on "Balanced diet" and "Anaemia" to the School Principals and Teachers of different government schools of Madhya Pradesh. 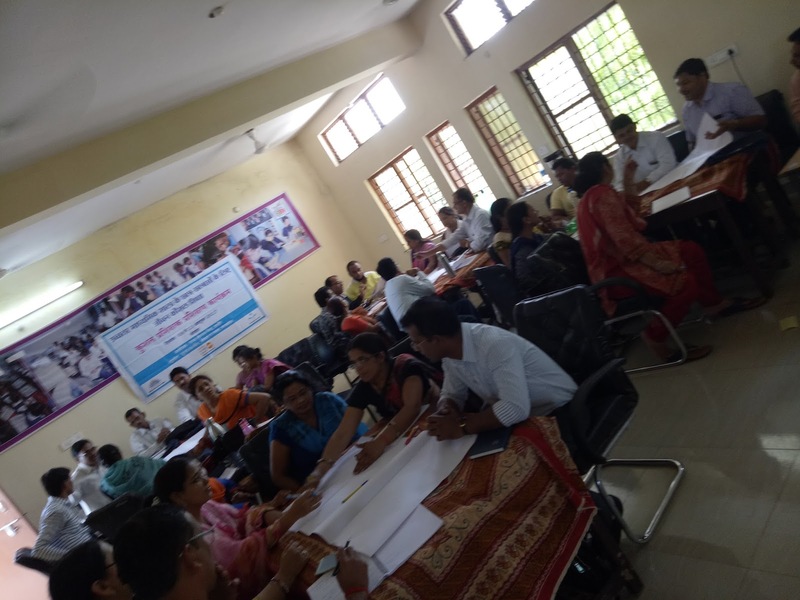 The training was conducted by State Resource Centre (Indore) in association with UNFPA and Rashtriya Madhyamik Shiksha Kendra. The session was mainly on participatory basis. After a brief discussion on balanced diet they wee asked to prepare 3 thalis viz. Standard Balanced Diet Thali, Normal Thali that we normally eat at our homes and the 3rd Thali - that is normally seen in village homes, because they don't have much resources either due to financial constraints or due to non-availability of foods - and they try to compensate nutrition with locally available food sources. 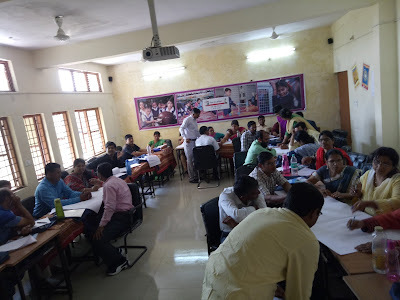 A few photographs of the session are attached below. This group had the best presentation and best ideas of what could be incorporated in "Standard Thali" "Routine Thali" and "Gramin Thali"
The best chart out of the 3 batches trained. 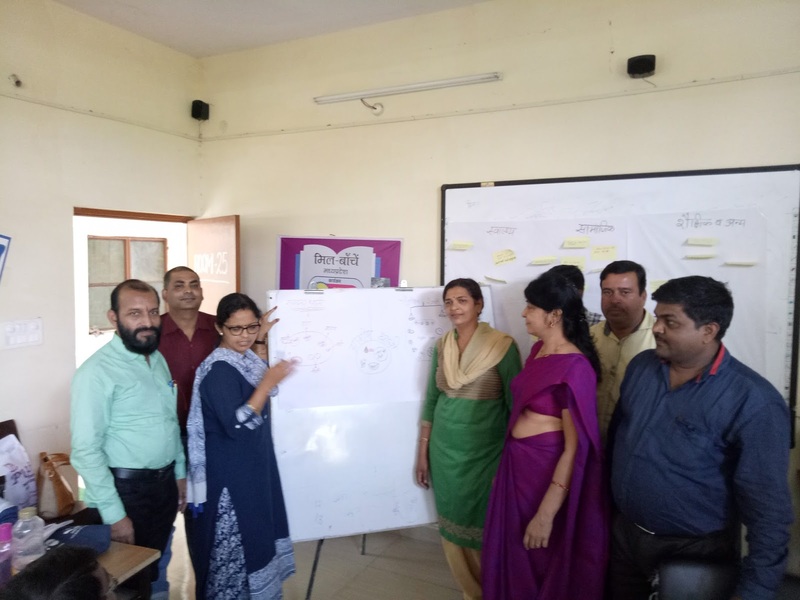 Explaining them the points in the chart that are important and the points that could be avoided. 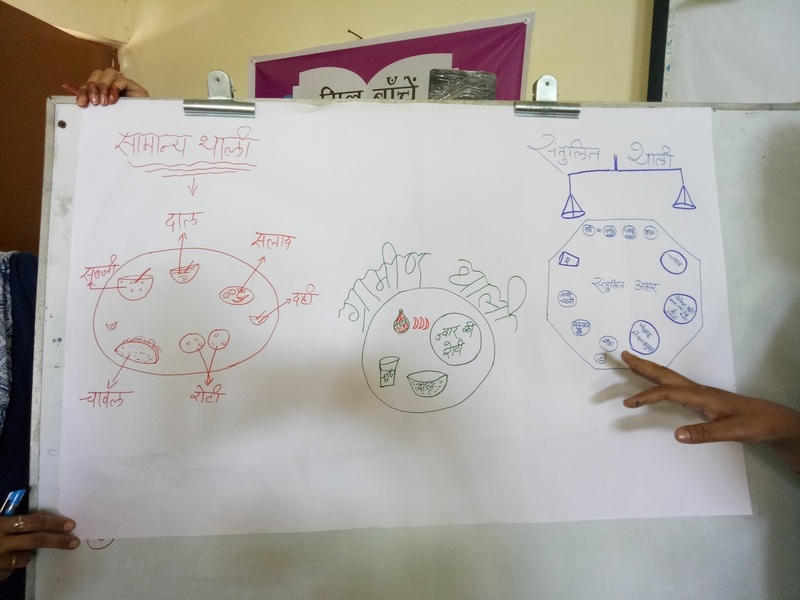 Explaining them about the differences between the 3 Thalis.